Are you looking for a reliable, experienced and professional carpet cleaning company in London? You are in the right place at the right time. No matter how clean and tidy you keep your home or office, it’s almost impossible to keep on top of the cleanliness of your carpets by yourself. Over the years, even the toughest of vacuum cleaners won’t shift the ground-in dirt or stains that inevitably appear. And it’s not as though you can just roll your carpets up and stick them in the washing machine. So maybe it’s time to let us bring your carpets back to life. 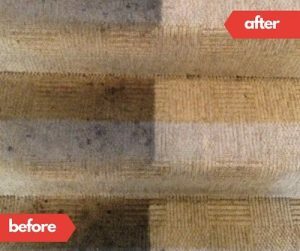 You don’t have to replace your carpet, get it professionally cleaned. Carpet cleaning can help to increase the lifespan of your carpet. If your carpets are thoroughly and professionally cleaned, then they are also kept free from dust and mites, preventing various allergies. Why choose our carpet cleaners in London? We are your smart choice for a cleaning company that specialises in professional carpet cleaning in London. Using state of the art, cutting edge technology, our carpet cleaners are professionally trained technicians who are experts in their field with experience of cleaning all types, shapes and sizes of carpets in both residential and commercial properties. And because we have extensive expertise in stain removal, we know how to be tough on dirt and stains without being tough on your carpets and upholstery. We’re proud to say that we take the environment seriously, too. We use eco-friendly, non-hazardous products from top suppliers like Scotchguard and Prochem to ensure we’re reducing our carbon footprint without putting people or pets at risk. Carpet Cleaner Limited is London’s premier carpet cleaning company. With more than 15 years’ experience in the industry and all the knowledge and expertise that brings. Our cleaning prices are pretty impressive, too. We believe in offering an honest, efficient, high-quality service at a competitive and affordable price and what we quote is what we charge. No hidden extras, no bait and switch. Just professional carpet cleaning in return for a fair price. 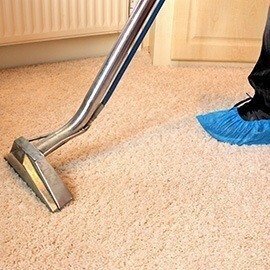 At Carpet Cleaner Limited we offer a flexible, seven-day service across Central and Greater London within the M25 which can be tailored to suit any requirement or budget, including the option to clean carpets and rugs in commercial properties during the evenings or at weekends in order to avoid disruption to your business. Our extensive public liability insurance means you can relax knowing that in the unlikely event that something goes wrong, we’ve got you covered. We’re so confident in our ability to deliver excellence that we offer a no-strings 100% satisfaction guarantee. 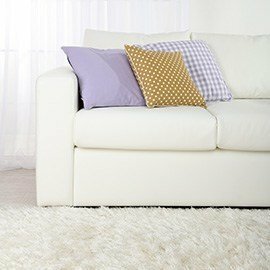 Our professional cleaning technicians and sofa cleaning specialists have comprehensive knowledge of each type of fabric and the type of cleaning that they require whilst, experts at reducing the number of allergens and pests that commonly live in the weave of the fabric, helping to improve daily life for people with asthma and allergies. Our rug cleaning specialists can greatly reduce the number of allergens and pests that reside in your rug. This will benefit those who are prone to allergic reactions and asthmatics. Our hard floor cleaners specialise in hard floor cleaning and polishing. This service is available for a wide variety of natural and manufactured floor coverings as well as terrazzo, marble, vinyl, wood and many more. Are you a landlord or tenant coming to the end of a tenancy? Our end of tenancy cleaning service is the perfect way to return a property to the best possible condition to ensure it meets all the lease-end checks and inspections. For tenants hiring us to provide a move-out clean it means a greater chance of getting back your deposit. For landlords, our pre-tenancy cleaning service is a perfect way to get a new tenant relationship off to a good start. Our experts are all professionally-trained and our service includes an option to have your curtains cleaned at regular intervals at your home. The fact we offer specialist cleaning services in so many different areas of the home office means we can transform the look of a room in a single stress-free visit. If disaster strikes and you need a carpet cleaned in an emergency, don’t worry – we can usually provide same-day service. Just get in touch with our team. Get in touch with us on 020 7206 2318 and talk to our friendly staff who can give you more information about our professional carpet cleaning in London.